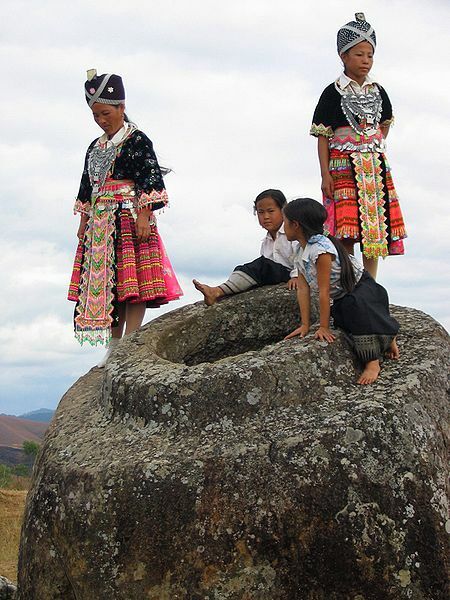 The Plain of Jars is a megalithic archaeological landscape in Laos. Scattered in the landscape of the Xieng Khouang plateau, Xieng Khouang, Laos, are thousands of megalithic jars. These stone jars appear in clusters, ranging from a single or a few to several hundred jars at lower foothills surrounding the central plain and upland valleys. Several theories propose that the jars were used as funerary urns, while local legend suggests they were drinking vessels for the giants who used to inhabit the area. We’re sure there’s a sensible, perhaps even logical, explanation to the Plain of Jars… we just don’t want to know what it is. Hundreds of large stone jars lie scattered across an elevated plateau of rolling grassland, to the south and west of Phonsavan in Laos. The origin and purpose of these huge, mysterious jars is unclear, but it is generally accepted that most date back at least 2000 years. They range between one and three metres long, and each weigh several tons. Laos legend tells us that the jars were created by a race of giants, whose king needed somewhere to store his rice wine. Others believe that they were placed there to collect monsoon rainwater. Initial research of the Plain of Jars in the early 1930s claimed that the stone jars are associated with prehistoric burial practices. Excavation by Lao and Japanese archaeologists in the intervening years has supported this interpretation with the discovery of human remains, burial goods and ceramics around the stone jars. 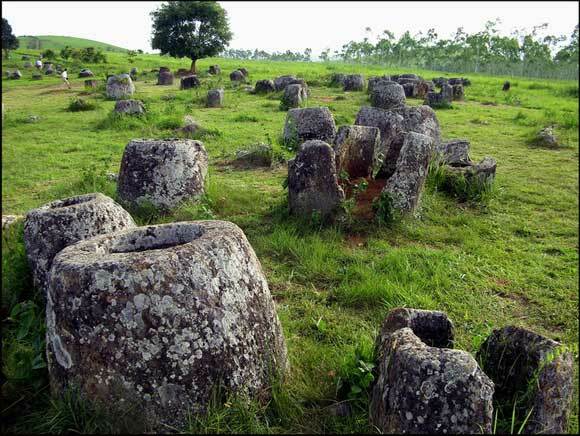 The Plain of Jars is dated to the Iron Age (500 BCE to 500 CE) and is one of the most fascinating and important sites for studying Southeast Asian prehistory. 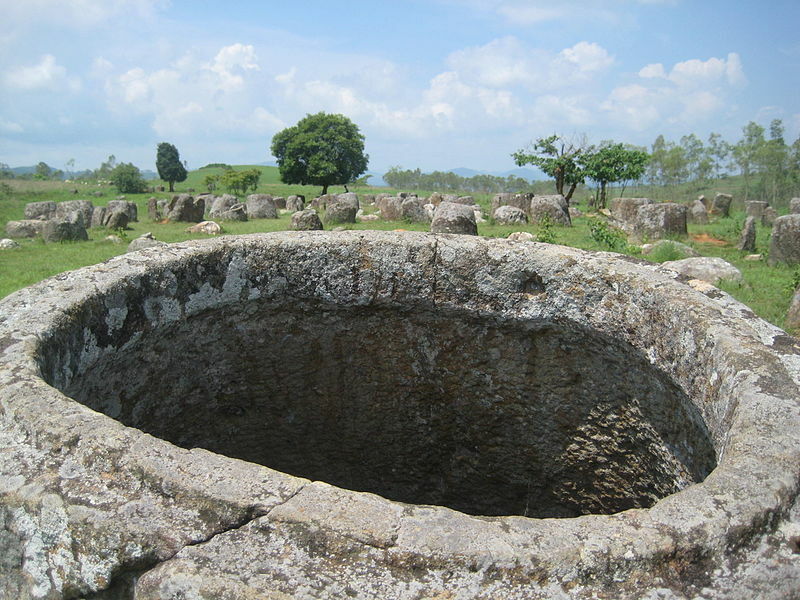 The Plain of Jars has the potential to shed light on the relationship between increasingly complex societies and megalithic structures and provide insight into social organization of Iron Age Southeast Asia’s communities. To visit the jar sites one would typically stay in Phonsavan. From the fact that most of the jars have lip rims, it is presumed that all stone jars supported lids, although few stone lids have been recorded; this may suggest that the bulk of lids were fashioned from perishable materials. Stone lids with animal representations have been noticed at few sites such as Ban Phakeo (Site 52). The bas-relief animals are thought to be monkeys, tigers and frogs. No in situ lid has ever been found. Not to be confused with stone lids are the stone discs. The stone discs have at least one flat side and are grave markers which were placed on the surface to cover or mark a burial pit. These gravemarkers appear more infrequently than stone jars, but are found in close proximity. Similar are stone gravemarkers; these stones are unworked, but have been placed intentionally to mark a grave. The jars lie in clusters on the lower footslopes and mountain ridges of the hills surrounding the central plateau and upland valleys. Several quarry sites have been recorded usually close to the jar sites. Five rock types are known:sandstone, granite, conglomerate, limestone and breccia. The majority of the jars are sandstone and have been manufactured with a degree of knowledge of what materials and techniques were suitable. It is assumed that Plain of Jars’ people used iron chisels to manufacture the jars although no conclusive evidence for this exists. Regional differences in jar shape have been noted. While these differences in most cases can be attributed to choice and manipulation of rock source, form differences, such as small apertures and apertures on both ends (double holed jars) which would affect the use of the jar have been recorded in one district only. The cave at Site 1 is a natural limestone cave with an opening to the northwest and two man-made holes at the top of the cave. These holes are interpreted as chimneys of the crematorium. French geologist and amateur archaeologist Madeleine Colani excavated inside the cave in the early 1930 and found archaeological material to support a centralized crematorium theory. 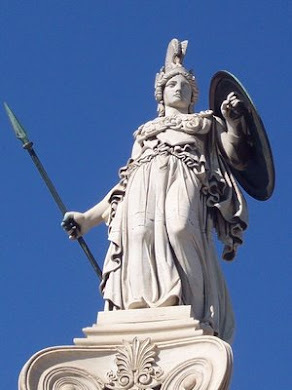 Colani also recorded and excavated at twelve Plain of Jars sites and published two volumes with her findings in 1935. The material findings and context led her to the interpretation of the Plain of Jars as an Iron Age burial site.